Ever wonder what it would look like if the visual arts were valued in your school? Take a look! Here’s another quick strategy I saw used with great effect recently… Do you know what that glowing purple object is on the table? The teacher has a playlist on her own phone and places the speaker, at a low volume, on tables that are showing that everyone is on task. The students really enjoyed having the reward of listening to music while they worked, even if the speaker had to move to another table after a few minutes. Thanks again to Bethany for sharing this idea! 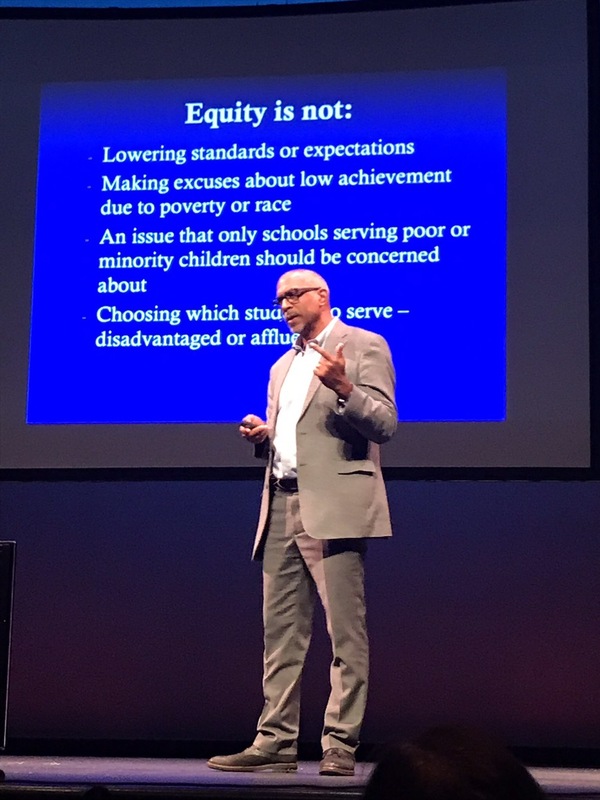 Pedro Noguero shares three qualities of a healthy school culture that supports equity. 1. …Does not blame underrepresented students for low performance. 2. …Pushes faculty to see teaching and learning connected. Absorb that, then look back to number one. Don’t make me spell it out. 3. …Has a coherent, data-based strategy for achieving goals related to diversity. If we don’t collect meaningful assessment data we can’t do this. If we don’t analyze the data, we can’t do this. If we don’t make a plan to respond to what the data is telling us, we can’t do this. P.S., dear art teacher, I am talking to you. I am always talking to you. When other kids see the noise level go up, they quiet down. 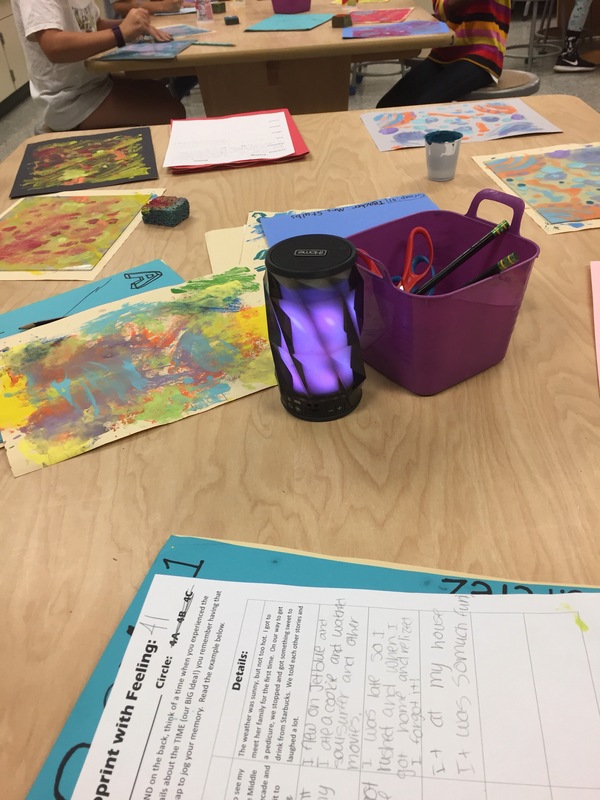 It is tied to earning the privilege of listening to music during art. It’s low tech and teaches the kids to manage their own behavior. Believe it or not it works! Thanks Jean-Marie, and thanks Miss Kromel for sharing your great ideas with us! It is no secret that art builds a sense of community. Odds are, a city near you has turned to the arts as an important part of a revitalization project for a neighborhood, or the city as a whole. School Mural created by art teachers Maureen Murphy and Caley Ehardt in collaboration with their elementary students. An art teacher asked me recently how she might pursue opportunities to grow and advance her career. There is, of course, nothing small about a career in the classroom, but some teachers want to do more, and frankly, I think education has a lot to gain by having more art teachers take on leadership roles. So what are some of the avenues an art teacher might consider? The Light at the Top of the Stairs by Jean Barrett, art teacher.